83subaruGLchick had the most liked content! Here she sits. She will be sitting on the street for a while here in a little bit too because my roommate needs the garage for his Toyota crawler he’s gotta do some stuff. Would’ve been done if this car didn’t fight me every step of the way. So car is all back together reverse works! 4 hi and low work! Went to pull it out of the garage and it made it to the end of my driveway and the front driver side axle which is brand new broke into 2 pieces. I don’t know why this happened because the lift doesn’t change the angles I think it was just a defective axle or something. Anyways I’m going to have to take that whole side apart again and replace that axle but I’m honestly so frustrated with the car it’ll probably be a while before I do that. Also the transmission is leaking pretty quickly and it wasn’t doing that before either, not sure what’s going on there. Last night we cut and welded in the new 4wd linkage for the lift. Just gotta go home after work and put her all together!! Getting ready to hammer down so I can go into reverse! Update time yet again! I just wanted to also say thank you guys that follow this and like my build it's awesome to see that although I'm mostly posting here for myself some people actually like seeing it as much as I do! Okay so onto the updates, the steering shaft is in and extended I also replaced the crankcase breather hose because I went to move it out of my way and it just broke into like 10 pieces.. also had to get a longer vaccum hose from the intake to the brake booster due to the lift and shorten the lower radiator hose due to the lift as well! I started her up last night in hopes of moving and driving her but I cant get it into reverse due to it hitting the body around the shifter so I'm just going to hammer it out a little and put the carpet back over it and you won't even be able to tell. I figure while I'm there I'll probably due that 4 speed slop fix that I saw that involves self tappers... PICTURES TO FOLLOW! ONCE AGAIN THANKS FOR FOLLOWING THE BUILD. I just sent you the part numbers. But I bought them at summit racing. The lift kit is on! Just gotta finish extending the steering shaft and shorten the bottom radiator hose then I could drive her. These where the solution to my front brake line mishap!! These are in they are working and they’re gorgeous. More pictures to come from today! So just to do a quick summary of what I’ve been doing to this car since January I have replaced the following: Front passenger side e brake cable Front rotors and pads Front brake lines Inner and outer tie rods Ball joints Rear shocks Front struts Front CV axles SJR 4 inch lift kit installed at the same time This whole process has taken a lot longer than anticipated and it’s partly because I swear for a minute it seemed every old part I touched needed replacement as well as waiting for parts to come in, needing money for the thing and so on. I also cut the fenders sanded/cut a ton of rust off and painted the fender wells and around the wheel wells and rockers. And here’s the front end. All cleaned up and together only thing missing is the extended brake lines and I also have to make the extended steering shaft. Other than that we are finally almost done! Take about a long time coming. Thank you for this it’s something so obvious I seemed to have not even thought about it. I will be going to a local auto parts store today. I’m also getting really frustrated with the lack of information on these cars about the lifts. I’ve never lifted anything like this I’ve only ever lifted trucks and when you buy those lift kits they come with instructions and tell you about additional parts you need to buy. My lift kit although great quality from SJR came with absolutely no instructions, luckily I figured out what pieces go where but now I’m stuck again because I’m trying to find front brake lines that’ll work because stock ones are way too short and the rear Rancho shock that SJR and ADF say works I bought and it doesn’t even bolt right up either. I need redrill the upper mounting holes on the shock to make it fit. I don’t know if anyone else has had all these issues or if it’s just me? I’ve tried to search on here for answers and I haven’t gotten any. 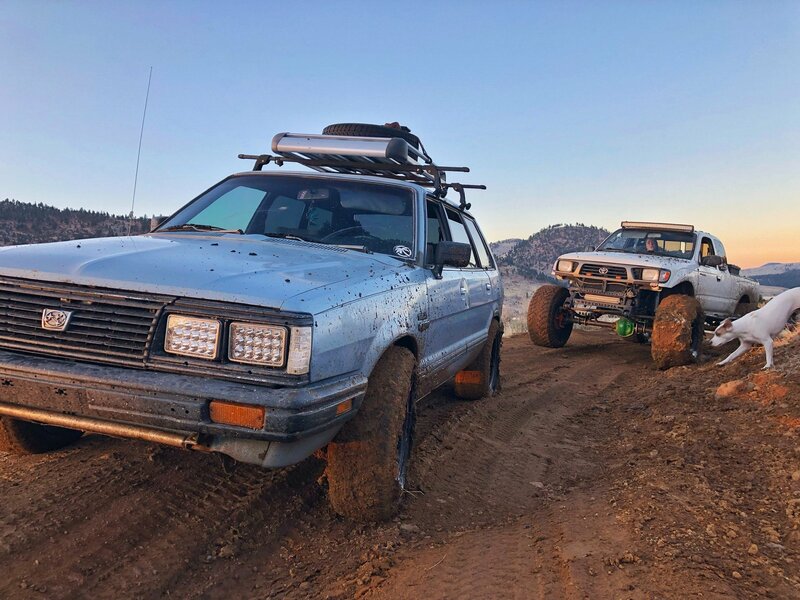 I WILL do a full write up on this lift kit once it’s completley done so it’s out there for everyone so no one has to deal with the crap I have had to. Anyone have any advice? I’m not a beginner wrencher either and my friend that’s helping me has built crawlers for 10 years and has NEVER seen the spoob I’m dealing with. Cheers guys!